As the world marks the 60-year-anniversary of the Conference of Bandung, the real turning point in the history of decolonization for Asian and African countries, I found this article on Pambazuka particularly relevant. One question still remains: has anything changed 60 years later? 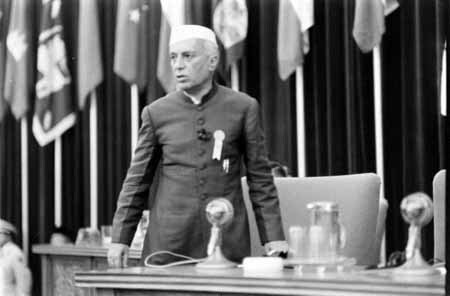 Do we need another Bandung Conference? Is the world a better place for the ‘weaker’ countries? Enjoy! For the full article, go to Pambazuka (pour une lecture en francais, aller sur Voltaire). 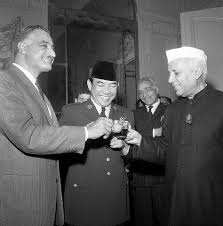 One of the key outcomes from the Bandung Conference [in 1955] was the Afro-Asian hope to open the opportunity for the Global South representing largely Asian, African, Latin American and Oceania to have a voice in world affairs. The creation of a non-alignment space to seek freedom from joining either the USA or the USSR camp was a clear objective. The choice to pursue agency to realize full independence from all forms of colonialism, which much of Africa was still in, and the urgent need to deal with the risk of neo-colonialism by the recognition and appreciation to strengthen the formally independent Asian countries to remain free appeared to have motivated the Bandung gathering. The Bandung spirit and purpose was primarily driven to bring about a total post-colonial condition by removing the penetrability of the African, Asian, Oceania and Latin American peoples by opening the non-alignment route to independence and freedom. The objective was to try to identify and pursue ways and strategies of development along a decolonizing trajectory, free from the dictation of either the USA dominated world order or the attempt by the ex-USSR through the Cold War to create an alternative non-capitalist-driven world order. 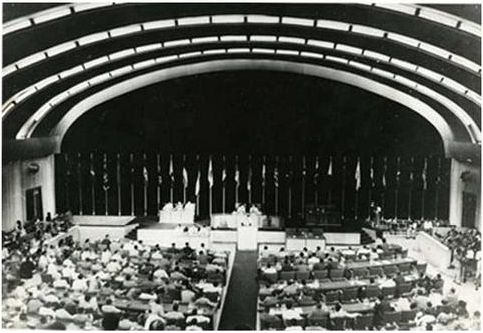 Though in many ways the 1955 conference in Bandung, Indonesia was a turning point for attempting to construct a post-colonial international political order; we still live in a world where imperialism, colonialism, war, exploitation, injustice and unfairness continue to complicate the contemporary world political economic space. What was loudly voiced at Bandung was the anti-colonial spirit and the aspiration for building a world order that appreciates rather than ignores the Global South and the newly growing numbers of independent countries from colonialism still remain largely unfulfilled. Instead of decoloniality prevailing we have neo-colonialism penetrating most of the Global South. The state and condition of post-coloniality is still waiting to be realized. We need a new and revitalized Bandung Conference spirit and a strong Global South to put on the agenda a total post-colonial reality to guide the architecture of new global world re-order.